It's safe to say that Jordan Brand has dominated 2019 so far when it comes to sneakers. Nike, Adidas, and Puma have all been formidable opponents but the Jumpman has been undefeated thanks to some incredible retro releases and provocative colorways. JB has absolutely no plans at slowing down this year as almost every single day we get a glimpse at a brand new colorway for one of its many models. The Jordan 1 has been the shoe receiving the most love this year and considering its history, we're not surprised. With the latest colorway of the Air Jordan 1, the brand is going back to its roots for some familiar colors. Sneakerheads all know and love the infamous Chicago colorways of the Jordan 1 and are always clamoring for more alternative takes on that look. Well, that's exactly what they're getting with this new "Gym Red" version. These kicks have white leather on the toe box and side panels, as well as black overlays and a red heel. The Nike swoosh is also dressed in red, giving these an extra pop of color. We've previewed these before but thanks to a recent Jordan Brand event, we have a whole new look at them. 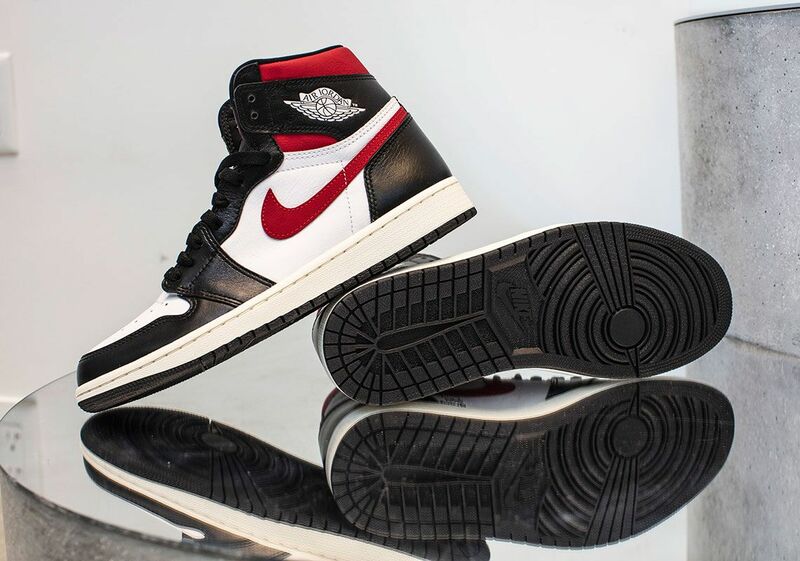 According to Sneaker News, expect a June 29th release for these as well as a price of $160 USD.